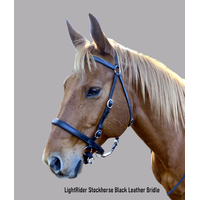 LightRider Beta Biothane reins match the Beta Biothane bridles in 5/8" biothane. They are softer than leather and easy to clean by wiping with a damp cloth. 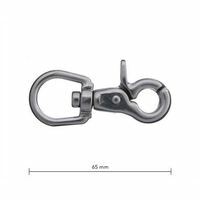 They include detachable rein clips - scissor clips give the most versatility of use. 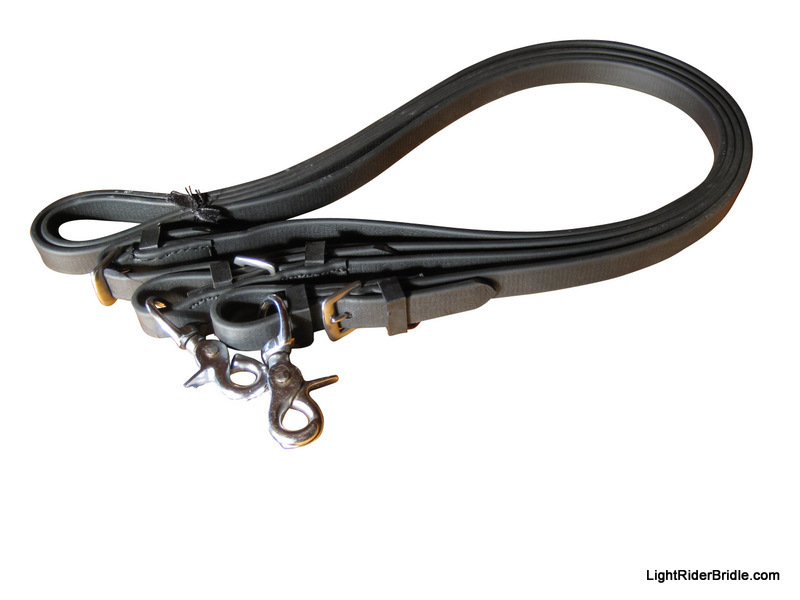 Easy Un-clipping allows leading/ground work, or remove them easily for tying up with a lead rope, as reins are not suitable for tying a horse. The clips are lightweight so there is breaking point in the rein. 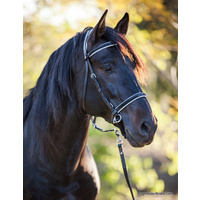 If a horse steps on the rein its better to break a clip than the bridle or your horse! 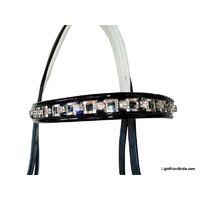 Designed to be light enough for good release (< 300g) to allow correct release on the bitless bridle/noseband chinstrap. Easy to remove or replace the clips with buckled rein ends. 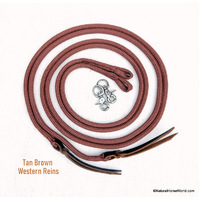 LightRider Rope Reins These 10mm marine rope reins are light to allow good release of the Light Rider bridle chinstrap. 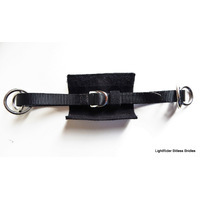 They come with solid brass or stainless steel scissor clips to match the bridle hardware, and are one piece of rope for leading in the bridle (not suited for tying solid). The loop ends make it easy to replace a clip too. 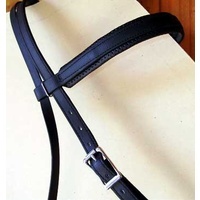 Available in 4 sizes and 2 colours to match the bridles. 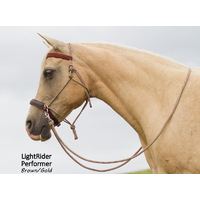 Lightrider Reins come in rope, leather, beta biothane or cotton and include rein clips to get the most versatility from your LightRider Bitless Bridle. 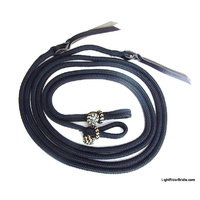 5/8"USA Beta Biothane in black or brown - includes SS or brass rein clips. Sizes: Cob = 2.6m (100"), Full = 3m (118"), Warmblood = 3.6m (142"). 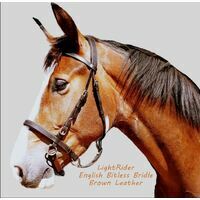 Risk Free Guarantee You can return your Light Rider Reins (in clean/ as new condition) within 30 days of receipt if you or your horse are not happy with it. Conditions Apply – see the Shipping and Returns Page. 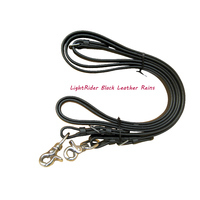 LightRider Reins have a 12 month money back guarantee/return policy against manufacturing faults. 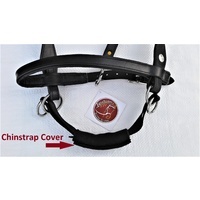 Lovely quality and very convenient snap, which can double as a lead rope, on the leading ring - very clever. I use the biothane reins on my pony and find them to be really user-friendly. They are nice and soft on your hands, but are still grippy. They are also very easy to clean, just wipe over with a damp cloth.